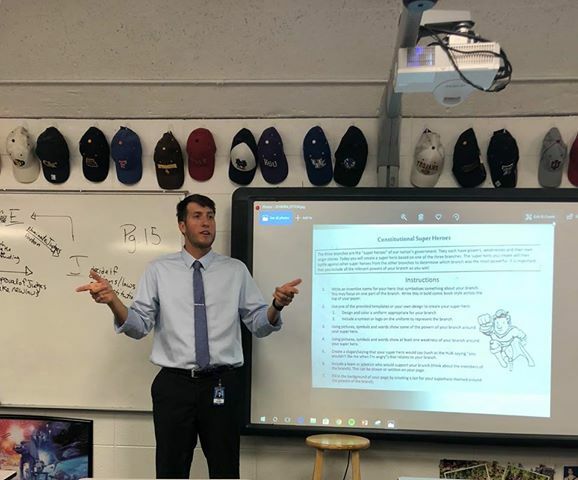 Mr. Ryan Hilbig lectures to his Street Law students last week. Hilbig is one of the newest members of the West staff, after moving from the Western Slope this past summer. Mr. Ryan Hilbig is a new social studies teacher from Cedaredge, Colorado. 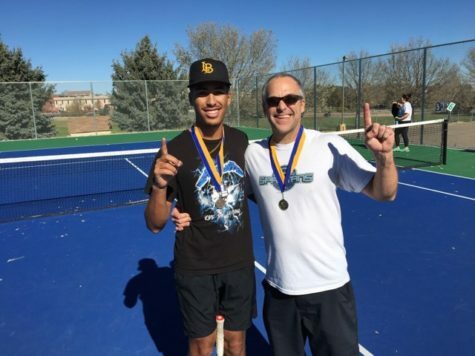 Greeley West is his third school in his eight years of teaching. At West, Hilbig teaches U.S. History to sophomores and Street Law to freshmen. He looks forward to facing a new challenge: Hilbig has never taught freshmen before. He’s hoping that he will grow as a teacher as a result of working with the freshmen. Hilbig started his teaching career studying at Colorado State University. At Cedaredge high school, Hilbig’s last school, the social studies department had a total of two teachers. The department was small because the school was small: Cedaredge had just 300 kids who attended. Hilbig is really excited to get into the new school year with a new and bigger community of social studies teachers. Looking back, what is your assessment of Thanksgiving break? Five days was perfect and no changes should be made. Five days was too long, we should have a fall break in October instead. Keep the break at five days, but add a fall break even if it means going to school longer. I don't care about school or vacations. Can we play Fortnite? Have you found your snowflake yet?